Traumatized by a fatal incident while on the job, a detective finds himself spending his retirement days in peace and conversing with a female friend of his. An old friend of his hires him to follow his wife whom he feels is doing things behind her back that he doesn't know about. But things take a turn for the bizarre when he falls for her. or so he thinks. Download Vertigo in Digital HD from the iTunes store. 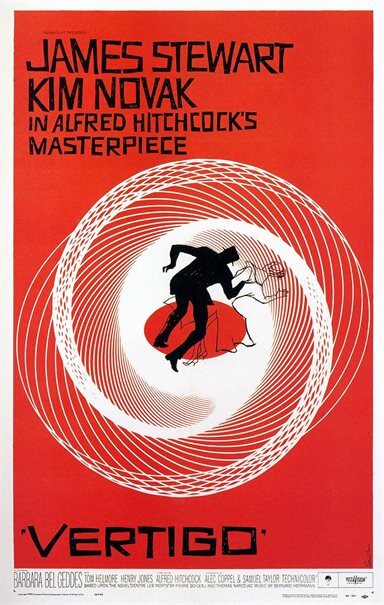 Vertigo images are © Paramount Pictures. All Rights Reserved.